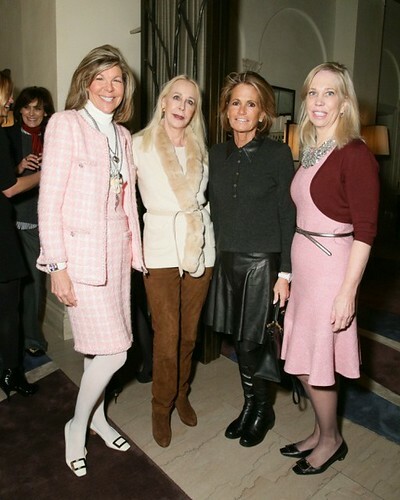 On Thursday, February 5, 2015, Roger Vivier and The Society of Memorial Sloan Kettering Cancer Center hosted the Winter Lunch at DANIEL. 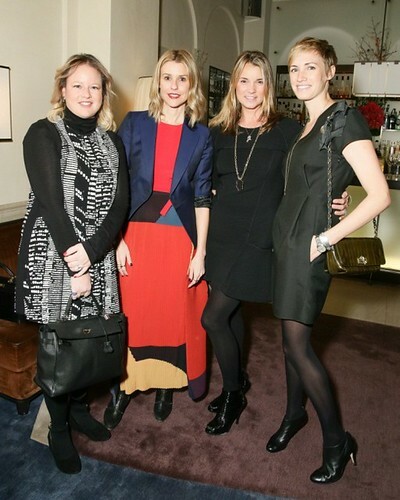 Sponsored by Roger Vivier, this elegant event was co-chaired by Gretchen Gunlocke Fenton, Jamee Gregory, Emilia Fanjul Pfeifler, Gillian Hearst Simonds, Amanda Taylor, and Caryn Zucker, along with Honorary Chairman and Roger Vivier brand ambassador Ines de la Fressange. The lunch raised $200,000. 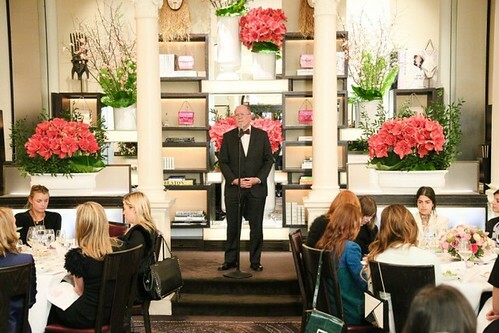 160 guests enjoyed cocktails and a seated lunch, which included remarks from The Society of MSK’s President, Martha Glass, and Associates Committee Chairman, Eleanor Ylvisaker. Dr. Paul Meyers, Vice Chair of Academic Affairs, Department of Pediatrics at MSK, spoke about a special initiative this year to benefit the research and treatment for Pediatric Sarcoma, a cancer that can arise in bone, muscle, or connective tissue throughout the body affecting mostly children, adolescents, and young adults. The funds raised will accelerate the processes needed to launch and support clinical trials of a treatment that promises to change the future for children and young adults afflicted with this difficult disease. Guests Included: Ines de la Fressange, Tory Burch, Jessica Joffe, Kelly Rutherford, Valesca Guerrand Hermes, Shirin von Wulffen, Serena Boardman, Eleanor Ylvisaker, Anya Ziourova, Jamee Gregory, Gretchen Gunlocke Fenton, Emilia Fanjul Pfeifler, Olivia Chantecaille, Gillian Hearst Simonds, Leandra Medine, Caryn Zucker, Martha Glass, Shoshanna Gruss, Coco Kopelman, Cindi Lieve, Karen LeFrak, Grace Meigher, Hilary Geary Ross, Jamie Tisch, Travis Acquavella, Kate Allen, Allison Aston, Kamie Lightburn, Bettina Prentice, Perri Peltz, Rebekah McCabe, Annie Taube, Alexandra Chemla and many more.